Vanessa Smith is our Assistant Curator of Archaeology. Vanessa has experience working on a range of archaeological projects around Nova Scotia and Scotland. 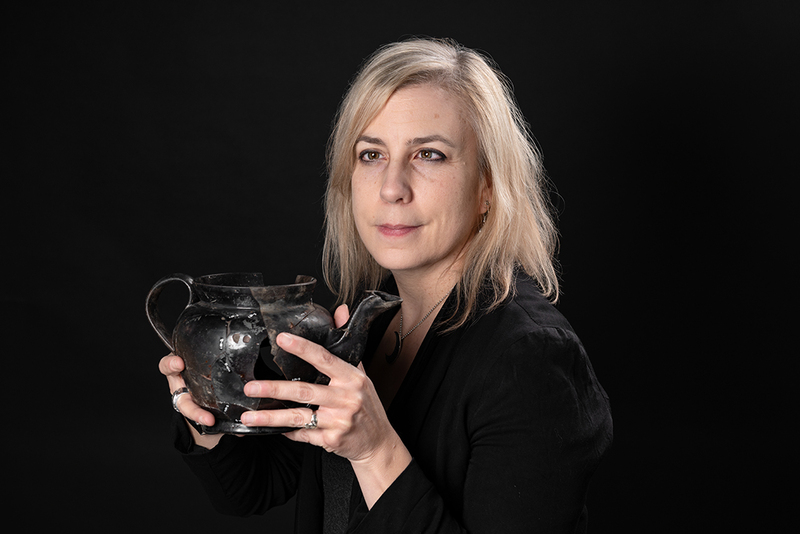 Additionally, she has worked as an artifact photographer which allowed her to get hands on with material culture from Pre-contact to 19th century industrial sites. After finishing her undergraduate studies in anthropology at Saint Mary’s University in Halifax, she completed a Masters degree in archaeology at the University of Glasgow. Vanessa also holds a BFA from NSCAD. Vanessa believes that the collections held by the NSM offer a fascinating and valuable window into the experiences of people in the past, how they lived and interacted with the world around them. She is particularly interested in the lives of women and under-represented groups in early Halifax. While all material culture is of interest, Vanessa has a particular fondness for buttons.